I have a little Satnav, it sits there in my car. 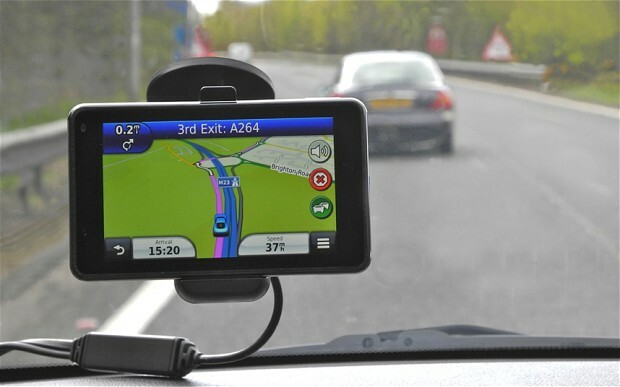 A Satnav is a driver’s friend it tells you where you are. I have a little Satnav, i’ve had it all my life. It’s better than the normal ones, my Satnav is my wife. “It’s sixty miles an hour”, it says, “You’re doing sixty five”. And tells me that it’s never ever, safe to overtake. It seems to know instinctively, just when to intervene. It lists the vehicles just in front, and all those to the rear. And taking this into account, it specifies my gear. I’m sure no other driver, has so helpful a device. For when we leave and lock the car, it still gives its advice. It fills me up with counselling, each journey’s pretty fraught. So why don’t I exchange it, and get a quieter sort? Ah well, you see, it cleans the house, makes sure I’m properly fed. It washes all my shirts and things, and keeps me warm in bed! I only wish that now and then, I could turn the bugger off.